Benjamin Shealey was held without bail after his arraignment on several charges including drunken driving. A Cambridge man whose driver’s license has been revoked for more than three years pleaded not guilty Monday to several charges, including drunken driving, stemming from a weekend crash in Chatham that killed a man and injured four other people. Benjamin Shealey, 31, was held without bail after his arraignment in Orleans District Court on charges including operating under the influence and driving to endanger, said the clerk’s office. 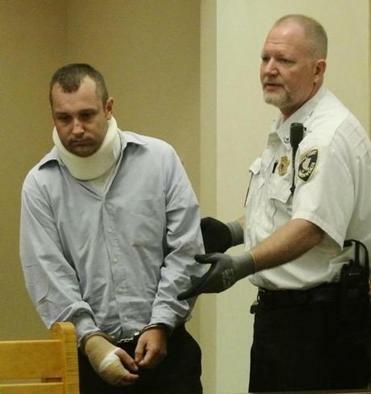 Shealey’s lawyer would not speak with the Globe but told the Cape Cod Times after the arraignment that prosecutors said they plan to bring a motor vehicle homicide charge in the case. Shealey has a lengthy history of driving infractions dating to 1998, including speeding, failing to stop, and refusing a chemical test in 2001 in New York, according to a copy of his driving record provided by the Registry of Motor Vehicles in Massachusetts. Officials revoked his license in December 2009 after a car accident in Boston on the grounds that he was an immediate threat to public safety, the record states. He paid a fine in June as part of a process to get his license back, but he has not taken required written and road tests, said a spokesman for the state Department of Transportation. According to authorities, Harwich police tried to stop Shealey Saturday evening after callers reported that he was driving a Range Rover erratically. He refused to stop and fatally struck Albert Della Malva, 62, at a bus stop on Main Street in Chatham just after 6:20 p.m., police said. He also allegedly struck two adults and two children who were traveling in a Volvo. Their conditions were not available Monday.